Ceilidh / Barn Dance Band ~ Sizzling from Surrey! Ceilidh – pronounced kay-lee – is an energetic form of folk-dancing. 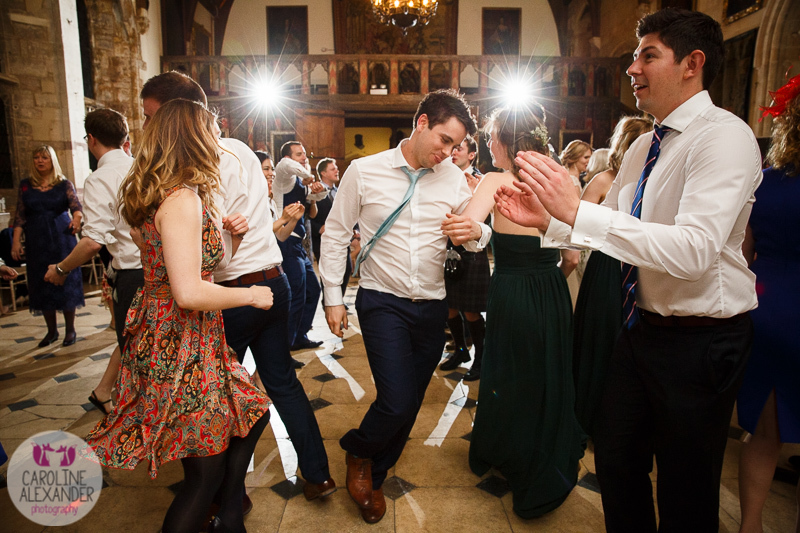 Every dance at a ceilidh involves dancing with one or more other people. 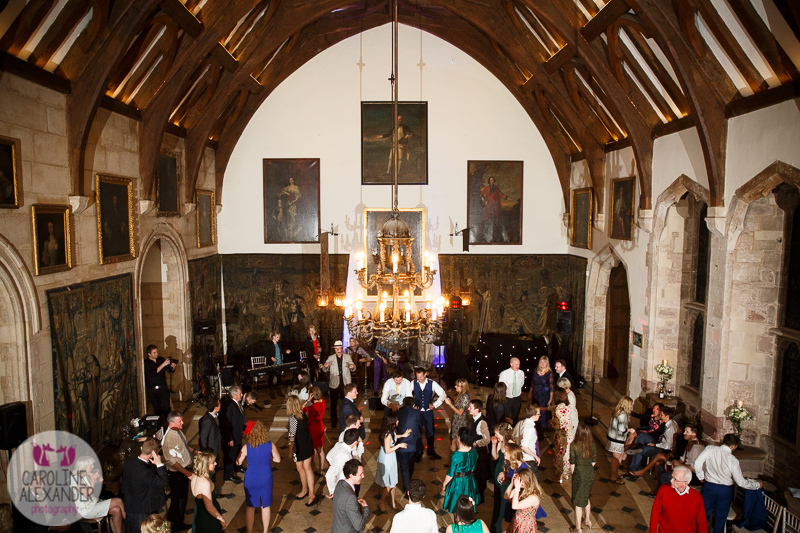 The purpose of a ceilidh is to have a good time dancing to good rhythmic music from the band. 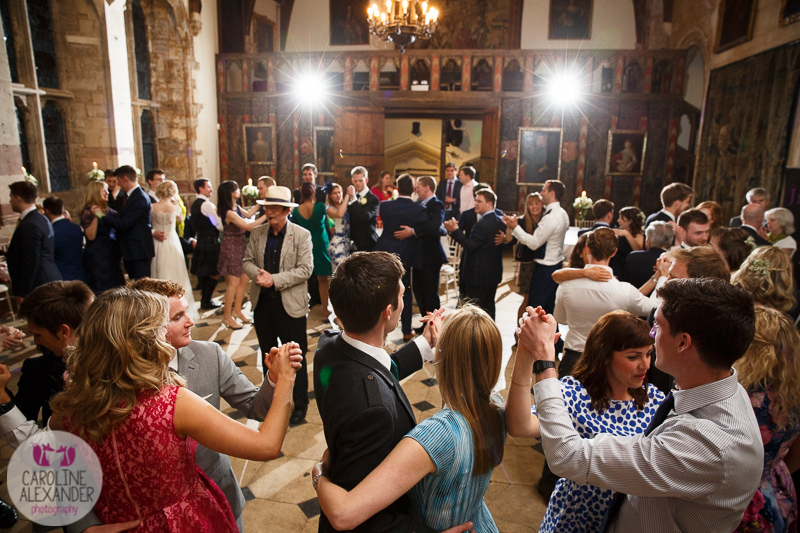 Ceilidhs are enjoyed by the absolute novice through to the dancers with decades of dancing under their feet. The caller will explain every dance beforehand to make sure everyone knows how it goes, and keep reminding you what comes next. The organiser might want a fun theme, e.g. check shirts for that Western barn dance look, or be thinking a Scottish or Irish look. Or Jane Austen Regency quadrilles. Or Poldark. Or English hot metrochic. For all these, what do you wear? You will be most comfortable if you wear shoes and clothes you can get hot in and bop around in without turning up in gym kit! Think cotton, short(er) sleeves, lower heels. 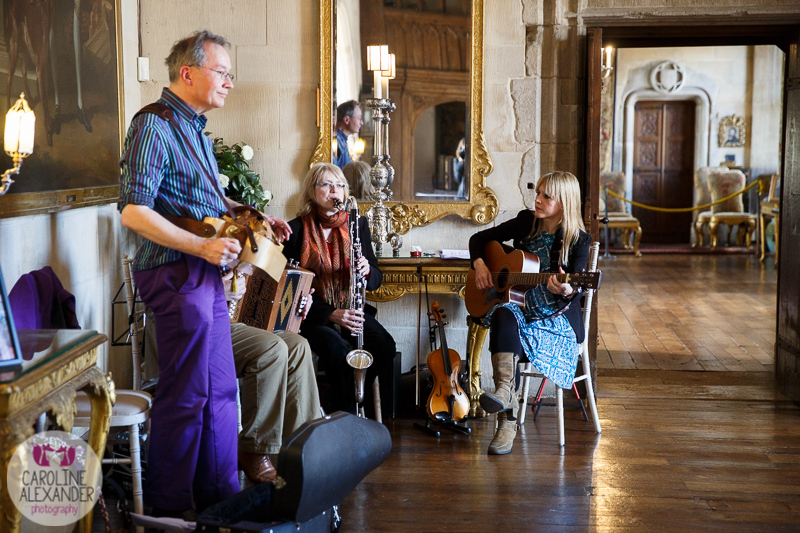 As well as providing the band, we will also find you a caller for your ceilidh / barn dance / party. We have a list of excellent callers that we work with regularly who we know will ensure everyone has a good time! 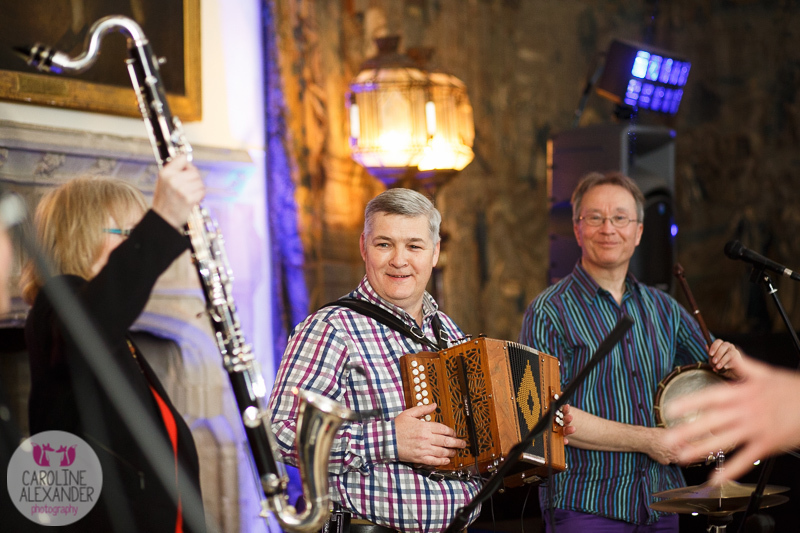 The Jigalots band have had great fun playing music for ceilidhs / barn dances for birthday or anniversary parties, weddings, family or corporate events, PTAs, churches, festivals and all sorts of celebrations. 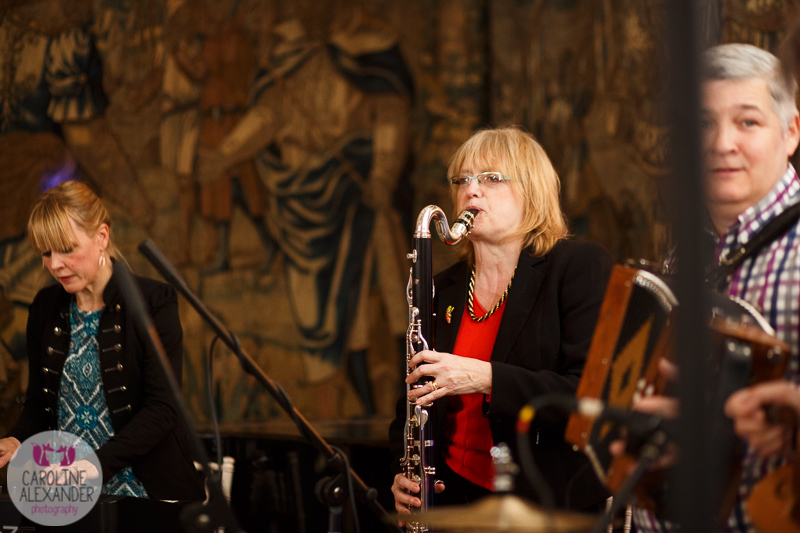 We’ve played in Surrey, Middlesex, London, Berkshire, Hampshire, Sussex, Hertfordshire, Oxfordshire and Wiltshire, even Brittany – ask us to come to you! You can google for “Jigalots” to see some of the fine events we have played at, including Meltdown, Oxfolk, Unicorn, Knees Up, and Godalming GBH Ceilidhs. 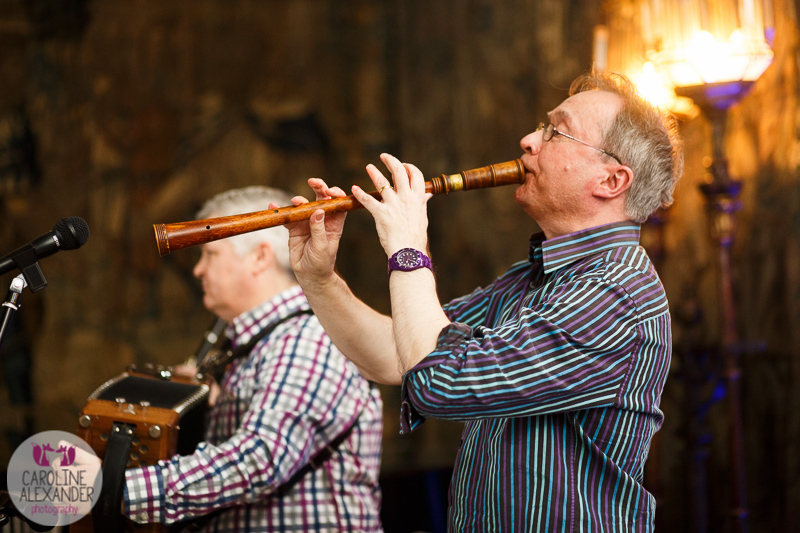 People said they “loved it” at our Sidmouth festival Anchor gardens gig with Barry Goodman, after which Andy, assisted by Fiz plus Steve Rowley, led very successful pipe and tabor workshops for beginners/improvers. 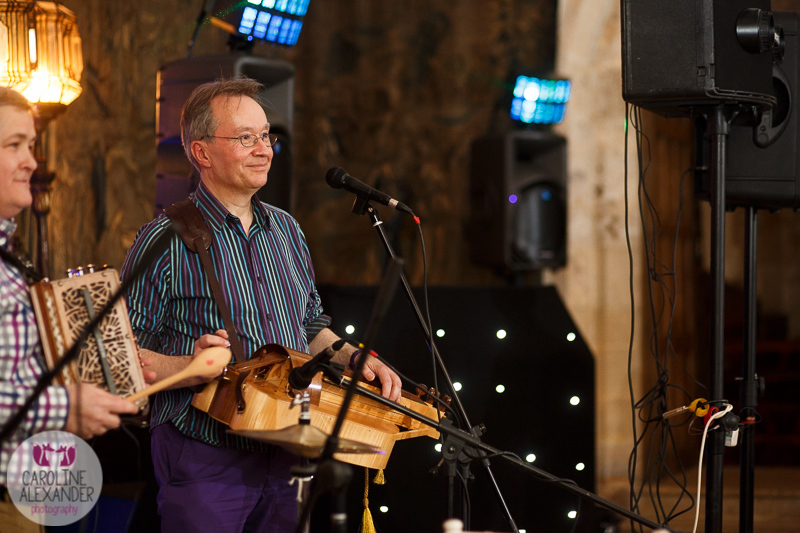 We got great feedback for our performances at Towersey Festival, and we were the only band with a hurdy gurdy protected from the weather by being inside a case inside a space blanket inside a car inside a gazebo garage! 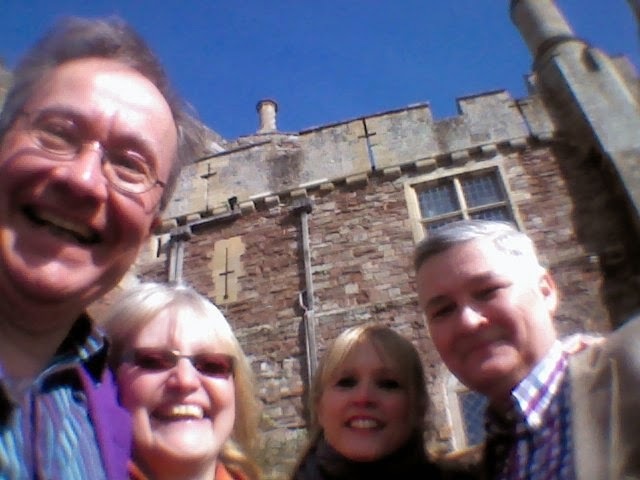 We recently had great feedback from gigs with the wonderful callers Chris Pitt and Fee Lock, and we have done some super gigs, including Grayshott Folk Club, Hastings Jack in the Green and Sidmouth Festival. We had awesome fun at a Scout ceilidh in Knaphill getting a hall full of people pulsating, in dress ranging from Teletubby to Red Indian to Cowboy riding inflatable horse. Andy Richards loved calling for these party loving people, and we got some super driving music from Robert Watkins on fiddle and octave fiddle, and Aaron Horlock on guitar, as well as our familiar Gary O’Mahoney and Carolyn O’Mahoney (the lovely Fiz Markham was recovering from a bug but is back parping on the bass clarinet) . We are really looking forward to playing for some super gigs, including South Norwood ceilidh with the fabulous Fee Lock on 12th January and Northampton Ceilidh with the super Polly Dare on 24th February. Want to discuss your event or book us? ~ enquiries@jigalots.co.uk ~ Andy 079 6868 1751 ~ Gary 078 8798 4765.